Kahontakwas Diane Longboat is a member of the Mohawk Nation, Turtle Clan, situated in Six Nations Grand River Territory, Canada. 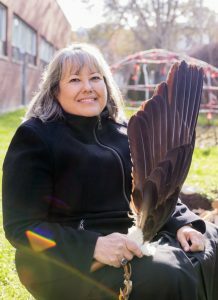 A ceremonial leader, teacher of Indigenous spiritual ways and healer, Diane's commitment speaks to the heart of nation building for First Nations based on traditional teachings, spiritual guidance and the ancient messages of land. Diane is the founder of Soul of the Mother, a not for profit initiative established in 2009 to support the Sacred Fire of Peace that was lit in 1994 on the shores of the Grand River to pray for the spiritual evolution of humanity and the healing of Mother Earth. The ceremonial lodge has been home to thousands of First Nations youth and adults and families, international visitors and faith leaders from many traditions. 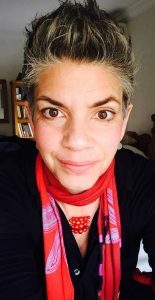 Today Diane works at the Centre for Addiction and Mental Health bringing traditional Indigenous healing to First Nations, Métis and Inuit clients and patients as a standard of care, placing traditional healing as part of treatment planning and establishing policies for Traditional Ceremonies at CAMH. Diane is Co-Chair along with Bob Goulais, planning the Indigenous Program for the Parliament of the Worlds Religions that will meet in Toronto in November 2018 and host 12,000 visitors from 80 countries. Diane is also the Indigenous Education Advisor to the Premier of Ontario and to the Ontario Minister of Education. Dr. Carl James was appointed as the Jean Augustine Chair in Education, Community and Diaspora for a five-year term effective July 1, 2016. Dr. James brings a strong record of scholarship and community engagement to this key position; and as Chair he will focus on addressing issues and concerns related to Black and other marginalized groups within a framework of equity, inclusivity, and social justice. Committed to evidenced-based policies and actions, James has extensive experience in youth studies, action research, and community work. 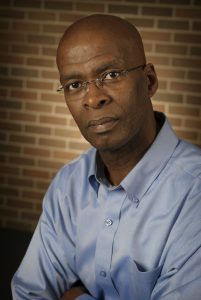 He is widely recognized for his work in Black and other racialized communities and for his role, nationally and internationally, in research around equity and identification as related to race, class, gender, racialization, immigration and citizenship. He is known for his mentorship and volunteer work with social service and community agencies educational institutions, and government units. Erika Shaker is Senior Education Researcher at the National Office of the Canadian Centre for Policy Alternatives, where she researches, writes, and speaks on wide range of education-related topics from child care to post-secondary: commercialism, privatization and corporatization; equity in education; precarity and inequality; social justice and anti-racism education; standardized testing vs authentic assessment; and school funding. She is committed to working with educators, students, parents and community groups across the country to help ensure that schools -- properly resourced, responsive to the needs of kids and communities, and with educators who are supported — are well-positioned to help overcome rather than reinforce systemic socioeconomic inequalities, and to facilitate inclusive, anti-oppressive and caring societies. She also edits Our Schools / Our Selves, a popular education magazine founded in 1988 which the CCPA has published since 2000.